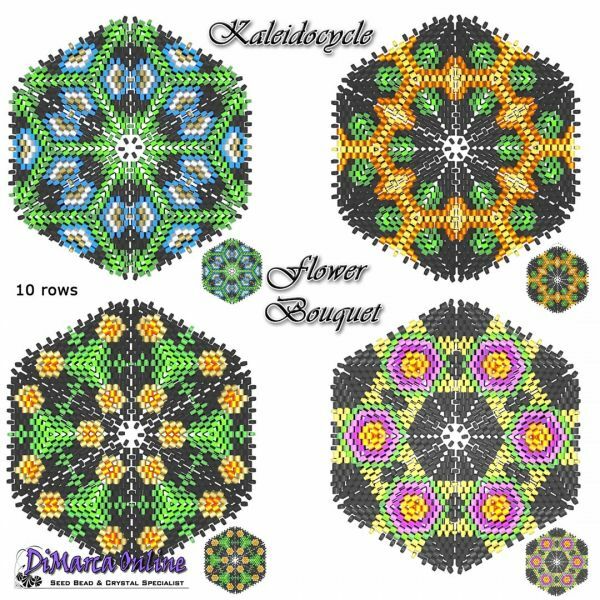 This beading pattern provides colour diagrams and word charts to create the FLOWER BOUQUET 3D Kaleidocycle. Each triangle has 10 rows. 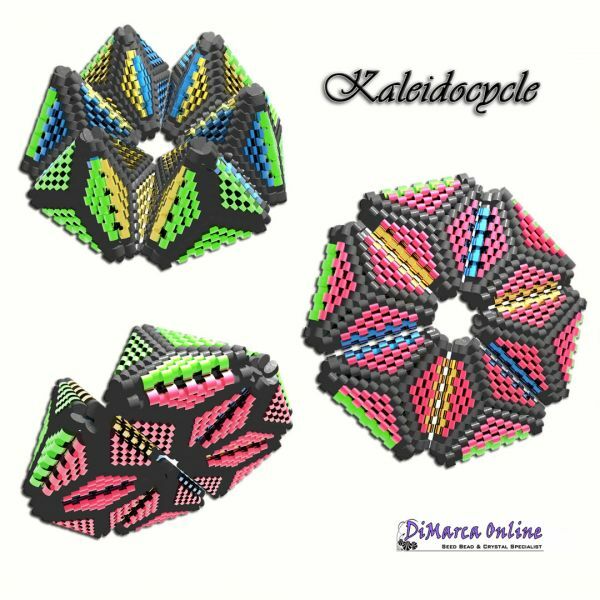 You will receive an e-mail with a download link to download the 21 pages PDF file.